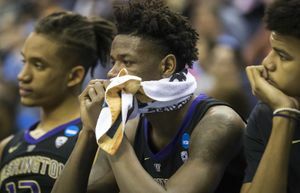 COLUMBUS, Ohio – Dismantling Utah State in the first round of the NCAA tournament was obviously a significant achievement for Washington, but let’s be real, the Aggies aren’t among college basketball’s elite. On Sunday, the No. 9 seed Huskies go head-to-head against one of the storied and successful programs in North Carolina, a No. 1 seed in the Midwest Region, with a berth to the Sweet 16 hanging in the balance. “It’s UNC, the home of Michael Jordan, and everybody knows they’re a historically great program with lots of tradition,” senior guard David Crisp said. 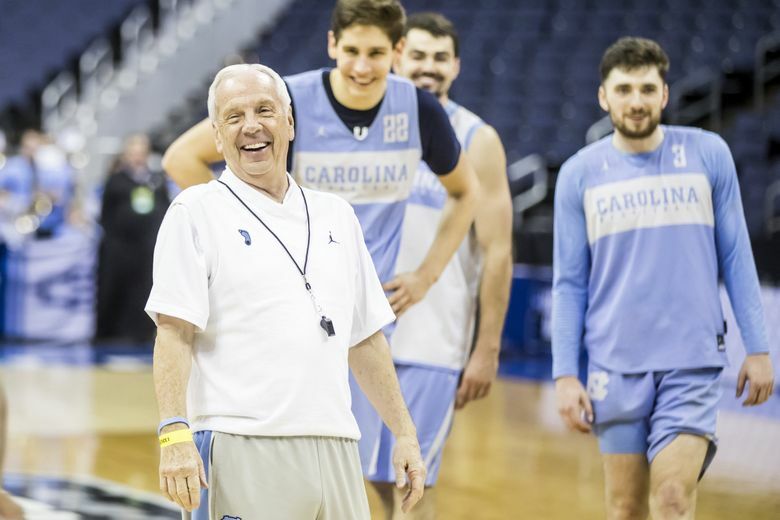 “They’ve got a great coach in (Roy Williams). They’ve got great players. We get it. They’re really good. It’s also the biggest game for Washington since falling 86-83 to North Carolina in the second round of the NCAA tournament in 2010. And it’s the fourth – and perhaps last chance – for Washington to capture an elusive signature win to validate a season that’s included a Pac-12 regular-season championship and a wheelbarrow full of postseason individual awards. In their three previous games against top-ranked teams, the Huskies lost 88-66 at No. 11 Auburn and 81-79 at No. 1 Gonzaga before falling 73-61 against No. 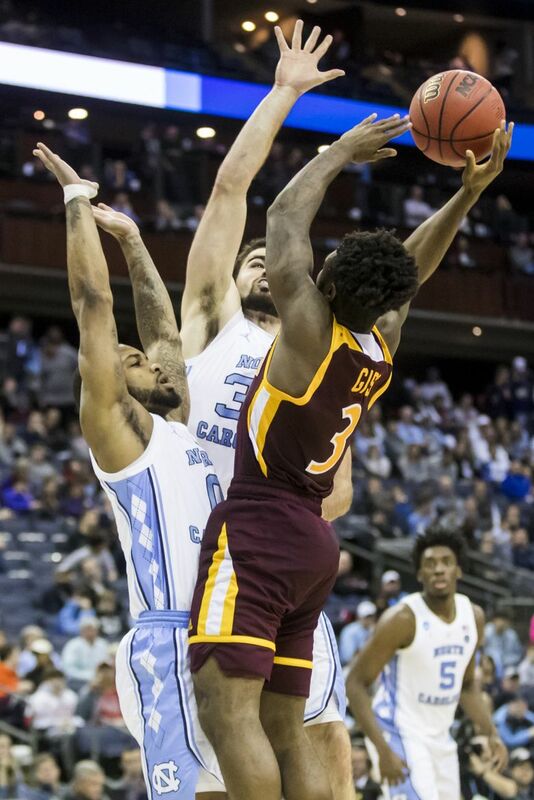 13 Virginia Tech in Atlantic City, N.J.
To topple the Tar Heels, Washington will have to avoid the defensive gaffes that doomed them in past high-profile games. North Carolina entered the tournament scoring 86.1 points per game, third most in the nation behind Gonzaga (88.8) and Belmont (86.9). The Tar Heels’ prolific offense was on display in the second half Friday night when they tallied 55 points during their 88-73 win over No. 16 Iona. The Huskies are riding a wave of confidence after holding Utah State’s high-scoring offense 18 points below its scoring average during a 78-61 rout. However, North Carolina sees a similar 2-3 zone at least once a season when it plays ACC rival Syracuse. The Tar Heels clobbered the Orange 93-85 on Feb. 26. Williams noted UW coach Mike Hopkins has tinkered with the defensive scheme he learned during his 22 years as an assistant under Syracuse coach Jim Boeheim. “It’s a little different, but the basis is the same,” Williams said. “They’re long, athletic and quick to the ball. They’re aggressive. They’ll probably double team in the corner more. 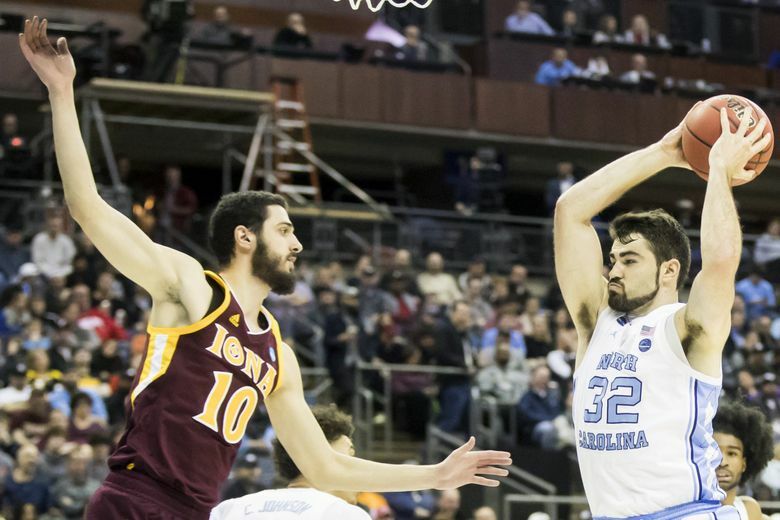 The Huskies also have to contend with an athletic UNC defense highlighted by a front line that includes 6-foot-8 forward Luke Maye, 6-9 forward Cameron Johnson and 6-9 forward Garrison Brooks. These are uncharted waters for Washington (27-8) and Sunday’s game is a program-defining opportunity for a team that finished 9-22 and had just two conference wins two years ago. Meanwhile, North Carolina (28-6) is attempting to avoid another early departure from the Big Dance. The Tar Heels are 3-3 in the second-round in the past six seasons. 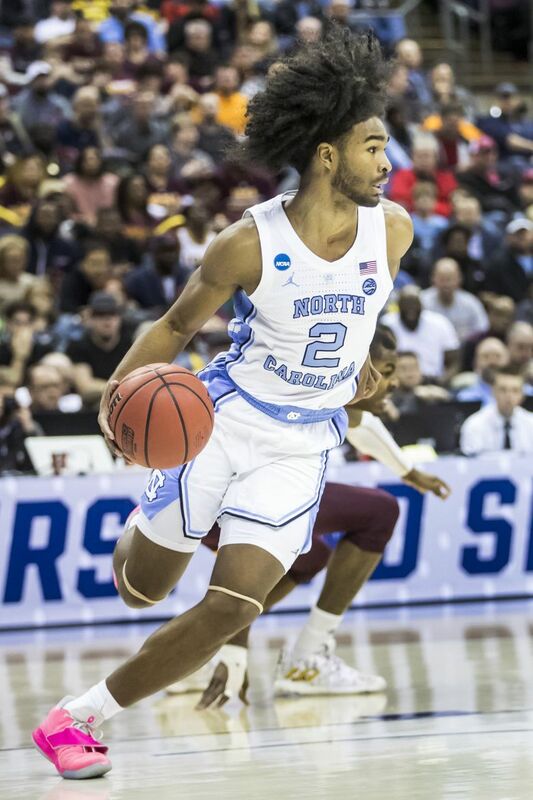 “I’ll take 3-3 all the time if you’ll make two of those three years (we) go to play for the national championship,” said Williams, who led UNC to a 2017 national title. Last season, the Tar Heels were a No. 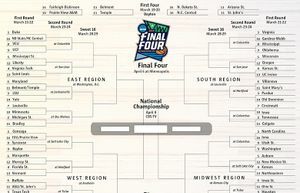 2 seed when seventh-seeded Texas A&M knocked them out of the tournament with an 86-65 defeat in the round of 32. The Huskies are an 11.5-point underdog, but UW players noted they’ve been doubted all season. Analysis: A balanced attack got UW past Utah State. Is it enough vs. No. 1 seed UNC?